NEW YORK – Apple is climbing Wednesday after it announced a huge stock repurchase and solid results in its latest quarter, but U.S. stocks are mostly lower as health care firms fall. Hepatitis C drugmaker Gilead Sciences and animal health company Zoetis both stumbled. Snap, the company behind the Snapchat video app, is plunging after it reported weak revenue. 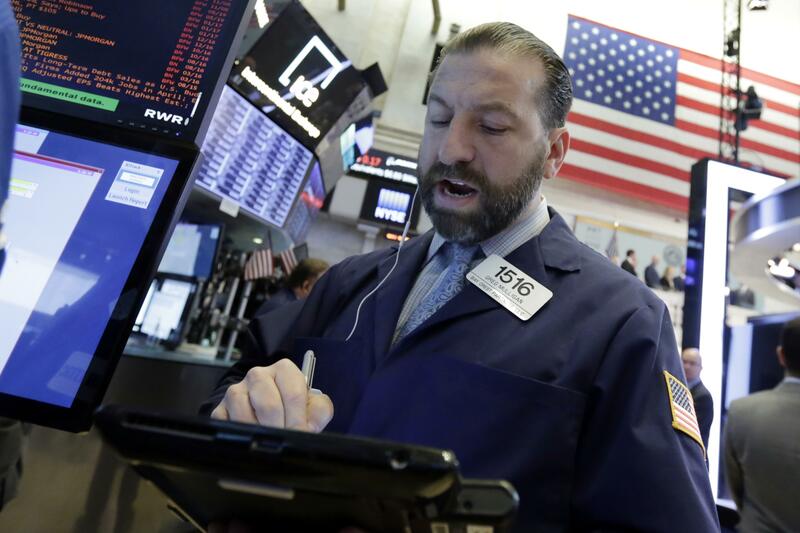 Bond yields are little changed as investors expect the Federal Reserve to hold interest rates steady as it wraps up its latest meeting this afternoon. Apple pay(s off): Apple had a slightly better fiscal second quarter than Wall Street expected, and the tech giant said it will use some of its tax savings to buy back $100 billion of its own stock and to raise its dividend. While iPhone sales weren’t any better than expected in the latest quarter, shareholders were pleased with Apple’s forecasts and with the amount of cash the company is returning to them. Health woes: Drugmaker Gilead Sciences dropped 7.7 percent to $66.94 after its sales fell short of analyst estimates. Revenue from two of Gilead’s major hepatitis C drugs dropped as new competitors entered the market. Animal health company Zoetis also disappointed Wall Street and fell 4.8 percent to $79.39. Fed focus: The Federal Reserve is expected to keep borrowing rates unchanged, but traders will be particularly interested in the statement accompanying the Fed’s decision. The central bank says it expects to raise interest rates a total of three times this year. It raised them once in March and investors think the next boost will come in June. One of the key debates on Wall Street is whether the Fed will actually raise rates three times or if it will raise them four times in response to more signs of inflation and faster economic growth. Europe slowdown: After posting its highest growth in a decade during 2017, the 19-country eurozone has come off the boil at the start of the new year, largely because of temporary factors such as cold weather. The European Union’s statistics agency said Wednesday that growth across the bloc slowed in the first three months of the year to a quarterly rate of 0.4 percent from a hefty 0.7 percent tick the previous quarter. Despite the slowdown, growth was higher than the equivalent in the U.S. Published: May 2, 2018, 8:32 a.m. Tags: Apple, health care, stocks, U.S.